The R&S®TS9982 consists of an EMS control unit, one or more amplifiers, converters for conducted measurements, antennas for radiated measurements, and a field probe. The system is fully computercontrolled, which makes reproducible and fully automatic test sequences possible. You can also activate the interactive test mode for running further tests or making modifications. The EMS control unit contains a signal generator, a path selector, a power meter and an interlock circuit. The use of the R&S®IMS, which combines all these features in one unit, makes for an extremely compact design. Due to the few system components, a rack is usually not necessary. For large systems with special requirements, such as those involved when complete vehicles are measured, single components are used for the EMS control unit. In this case, the core of the system is the R&S®TS-RSP switching unit, which is configured as necessary by means of different plug-ins and the possibility to drive external power switches up to 10 kW. Based on experience gained from the large number of systems implemented worldwide, all system components have been ideally matched to one another, yielding efficient field generation on the DUT. In the 1 GHz to 40 GHz frequency range, a mobile microwave test system is used directly adjacent to the DUT, thus preventing high RF cable loss above 3 GHz. 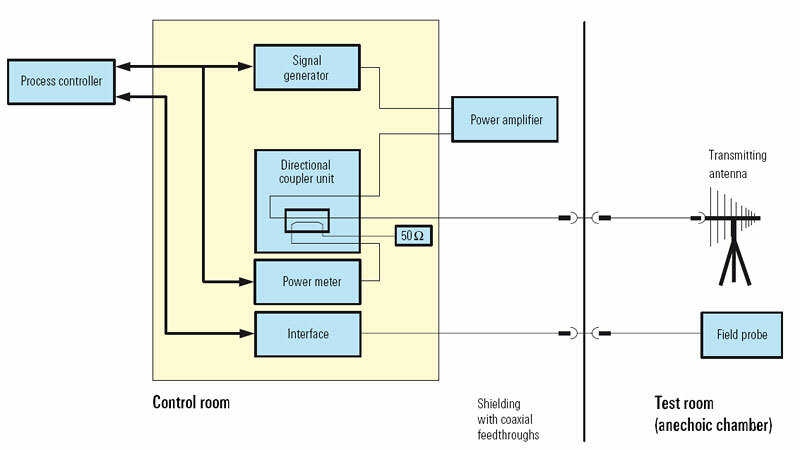 An interlock circuit that switches off the RF power when the door of the hall is opened, for example, provides personal safety and is always included in the system. The R&S®TS9982 EMS test system comes with R&S® EMC32 EMC test software for Windows. The software makes it possible to carry out automatic and manual EMS measurements to all relevant standards. R&S®EMC32 is a convenient, cost-effective and reliable tool, enabling fast and easy system operation and high throughput. 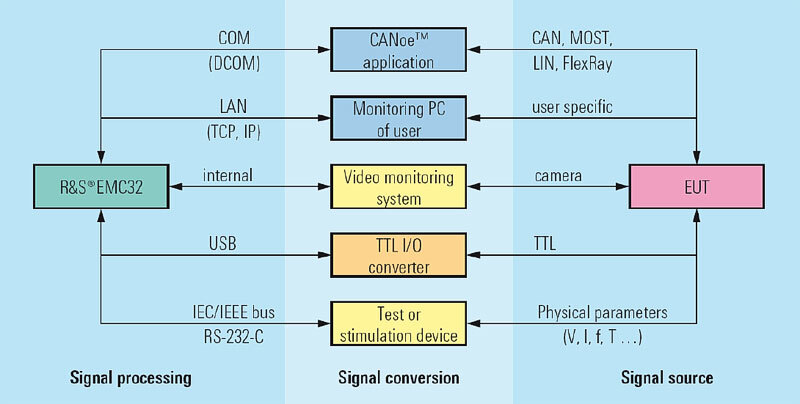 The extended test and configuration capabilities ensure high reproducibility of results. With the R&S®IMS, the R&S®EMC32-based software is already included in the package as the R&S®IMS operating system.